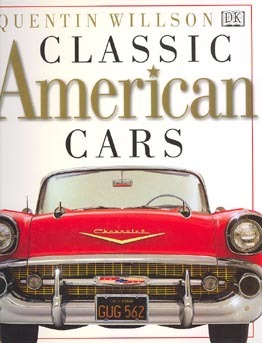 A fabulous book on American production car classics. Great photos - color plus black & white. Classic cars from the 1940s into the 1970s. Some of the cars are 1948 Tucker, '49 Buick Roadmaster, '55 Thunderbird, '58 Edsel, '63 Avanti, '67 Shelby Mustang, '73 TransAm. A good book for any car buff.